What well mannered cats you have, making thank you cards! So nice to look at a bit of fresh bright colours right now too. Love it! Awesome card, Karen and i totally like these colors. 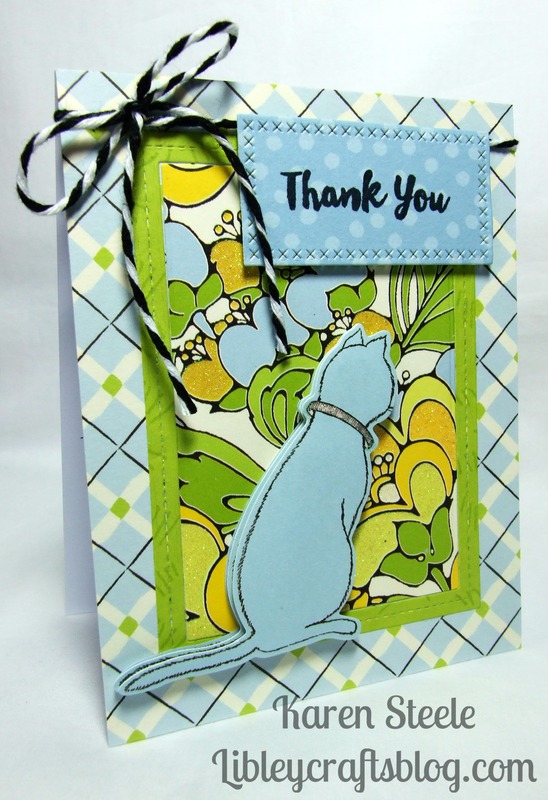 It´s a perfect “Thank You” card- matching the kitty theme. Oh this is absolutely fabulous, Karen!!!! LOVE the colors and design!! I’m sure they loved it! !